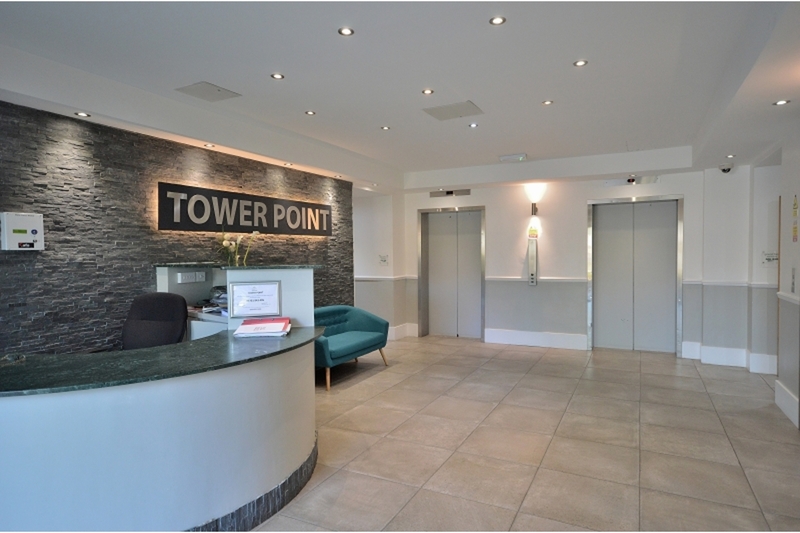 Tower Point, which was built in 2000, is situated in a prime location of Enfield Town, close to the shopping centre with an array of shops within Palace Gardens and the High Street, with its own market on the square. 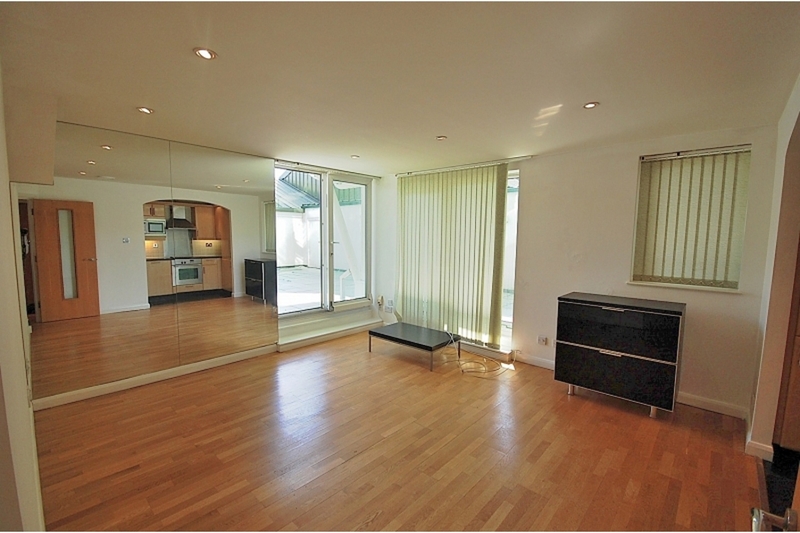 Town Park and both British Rail Enfield Chase and Enfield Town are a short walk away. 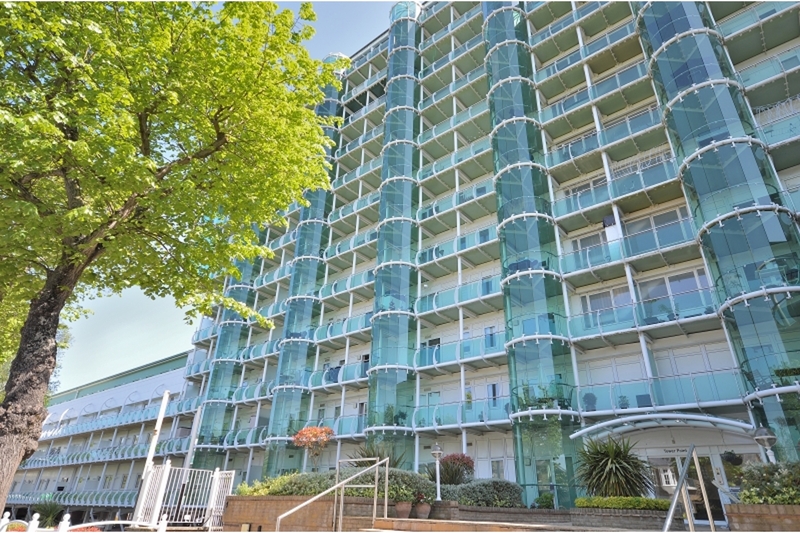 This contemporary apartment which offers open plan living and modern kitchen is easily accessed via the lift from the ground floor lobby where the concierge is located. 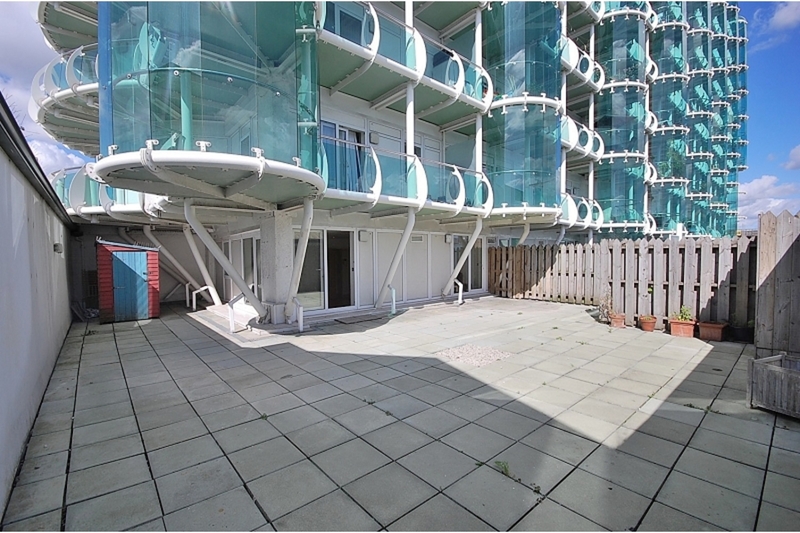 The flat offers video entry, secured postbox and a large balcony. ENTRANCE: Concierge. Lift to all floors. Ceiling heating/air conditioning system throughout (untested). 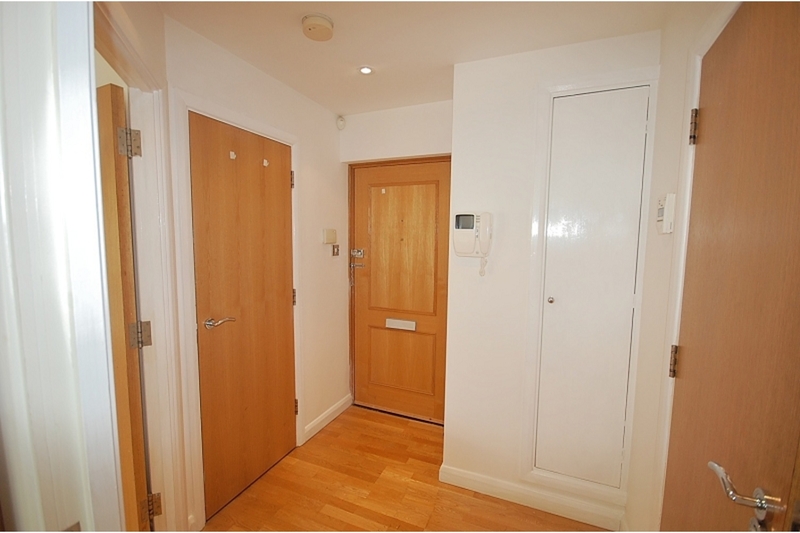 HALLWAY: Wooden flooring. Video entry system. Storage cupboard with plumbing for washing machine and space for tumble dryer. Storage cupboard. Spotlights. Doors to all rooms. RECEPTION: Wooden flooring. UPVC double glazed sliding doors to rear aspect leading to large balcony. UPVC double glazed sliding door to side aspect leading to balcony. UPVC double glazed window to side aspect. 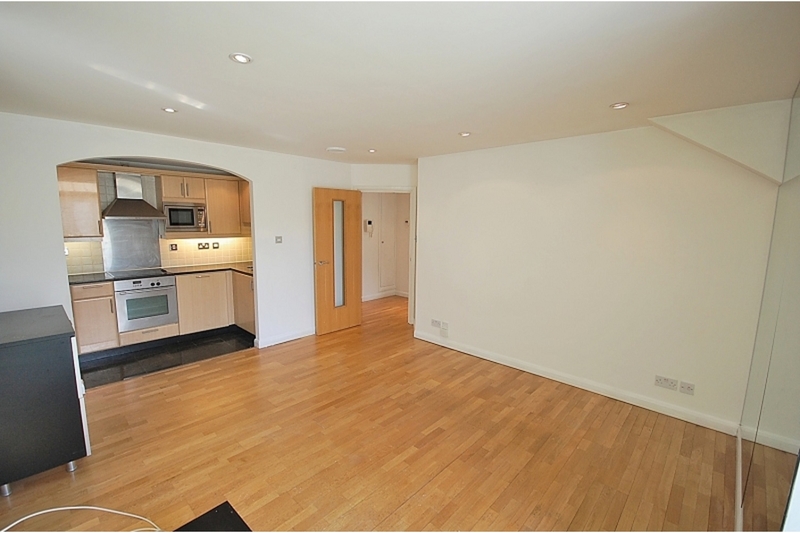 Open plan to kitchen. KITCHEN: Tiled flooring. Fitted wall and base units. 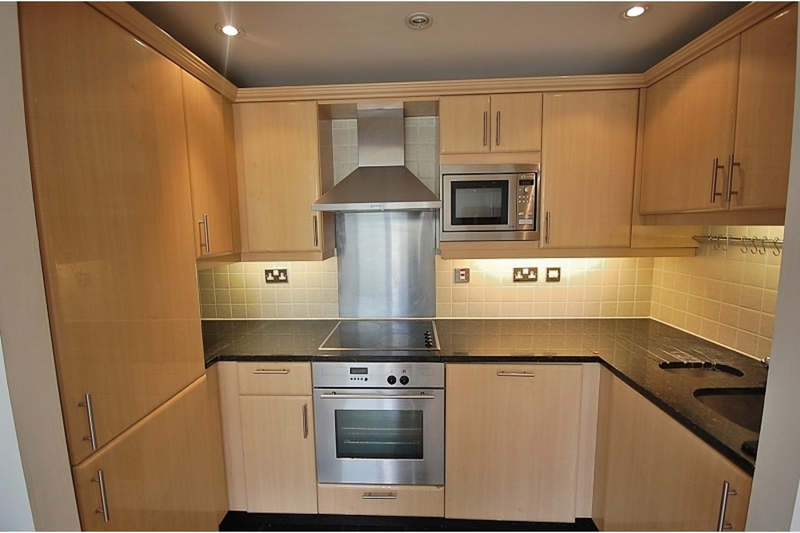 Stainless steel splashback. Tiled walls. Under cupboard lighting. Marble worktop. Sink unit. Integrated fridge/freezer. Integrated Neff dishwasher. Integrated Neff microwave. Neff extractor fan. Integrated electric oven (untested). BEDROOM 1: Wooden flooring. 2 x fitted wardrobe with mirrored door. UPVC double glazed sliding door to rear aspect leading to large balcony. Vanity cupboard. Chrome towel rail. Spotlights. 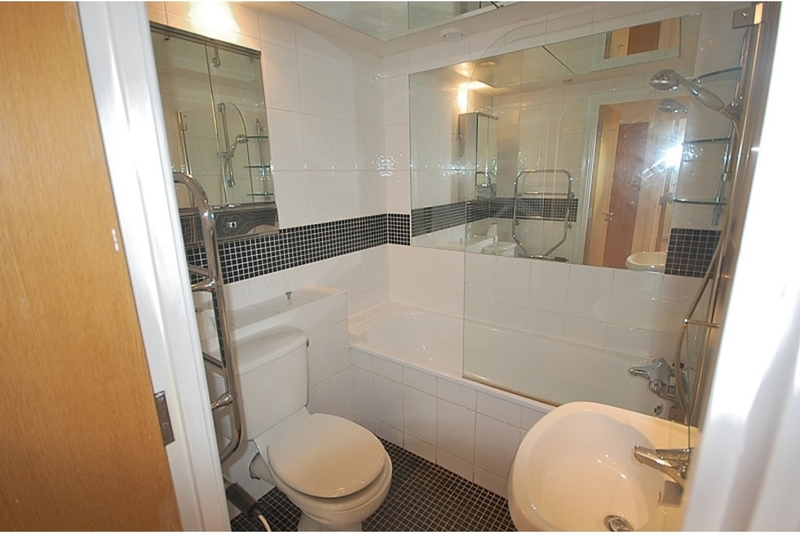 BATHROOM: Mosaic flooring. Bath with tiled side panel with thermostatic shower overhead. Glass shower screen. Pedestal basin. Close coupled W/C. Fully tiled walls with mosaic feature. Mirror to wall and ceiling. Mirror above basin. 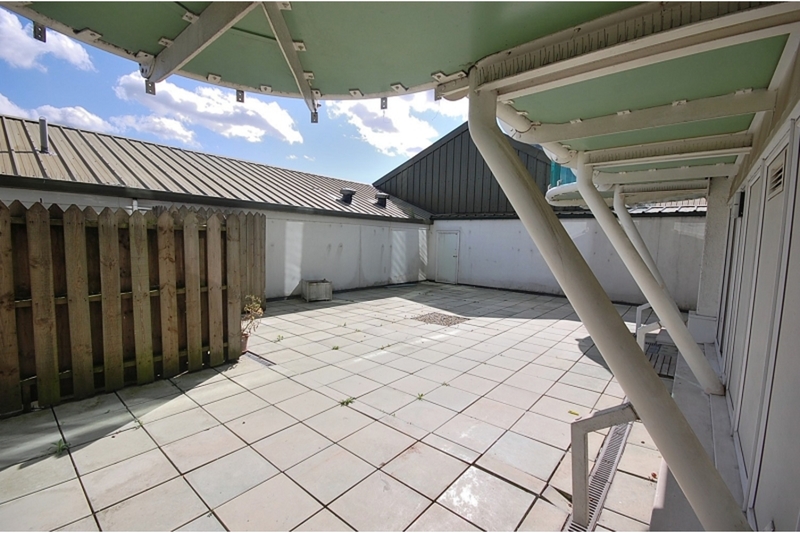 BALCONY: Large paved balcony with railings. Shed. I am interested in the property Sydney Road, EN2. Please contact me with further details.